Our latest template website launched is that of Ida Muller, owner of 4u2c Homes. 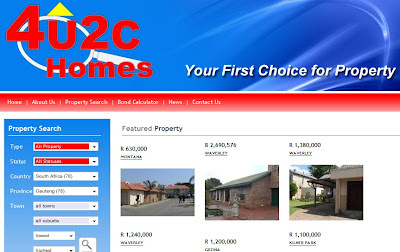 Ida operates the northern parts of Gauteng with property for sale in Centurion, Akasia and Pretoria. 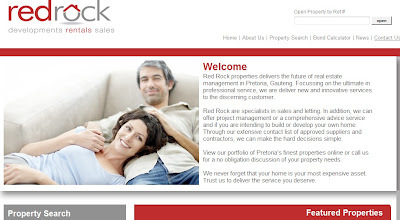 If you like this template and want a very cost effective great looking property website, visit our Entegral Company website @ www.entegral.net for more info on our real estate products. I love the RedRock logo - very nice. Also blends it well with their new website. Absolute! Simple and easy, very nice. :) really appriciate this one, i will use it for womens car insurance page.